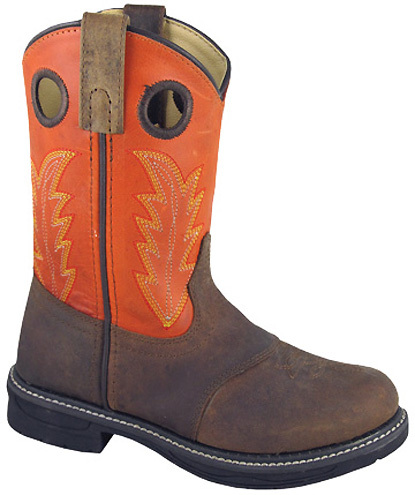 Named the "Buffalo" boot, this youth work boot is made like many of the big boys' work boots. A work type sole is attached with a good weather resistant welting system to a nice leather. Mink Oil or snow proof will further condition and serve to keep out water. A full line of boot care products can be seen at: Boot Care Products on the Cultured Cowboy website.